Be Brave! Be Strong! Be Badass! The blue ribbon…back when field day only awarded the top 5 athletes in any event. It was the beginning of my relationship with running. This blue ribbon showed me I could be good at this, yet also provided a bit of pressure to be good at it. 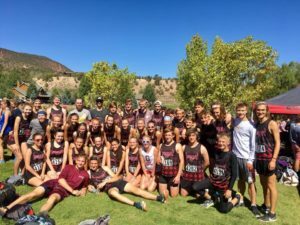 As an athlete, I was no stranger to running during practices, but the idea that it could be a sport of its own was pretty new to me. It was still 5 years before it actually became a sport for me, after being cut from the soccer team. I knew I wasn’t a sprinter, and the distance coach loved to remind me that I wasn’t very good, and never would be since I didn’t run cross country. Thank goodness for the other three ladies who made up the distance team. Never did they make me feel less, or unwanted. They simply ran, circled back for me, and shared easy day miles with me. They helped me run workouts harder than I knew were possible. Every day I got a little stronger, a little faster, and a little more confident. My second year, we got a second coach who took me in, saw my potential, and is the reason I still run and coach, today. We four ladies qualified for the State Championships in the 4×800. It’s still one of my favorite running memories. Not because it was a spectacular race, but because of the teamwork and camaraderie. 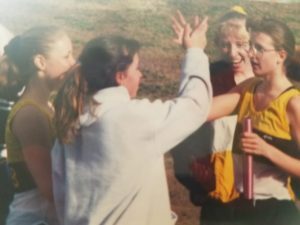 Running for Green Mountain High School meant being blessed from the beginning of my running career with both road and trail running. Though there have been spurts where trails were more difficult to find, they always feel like home. These are the miles which allow me to put everything else on hold and focus only on the trail and its surroundings. The runs where the miles melt away, and the sweat cleanses my heart and soul. It is these days which feed my wanderlust inner being. And then, I get back on the roads, bike trails, or a track and feed my other running loves. 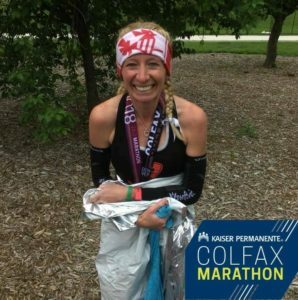 Through the years, I have found that managing my anxiety is far easier when running is a consistent part of my life. The metronome of foot falls is calming, and gives my brain the time it needs to process, think, problem solve, forgive, curse, and even remind myself of the many great things in my life. Time on the roads allows me to dream and wonder about what next or what else in running. Chasing dreams and goals comes with quality speed work. The workouts which make you question what you’re doing. That make you dig deep and find every ounce of strength. The ones which leave us feeling like Wonder Woman. For many years, running was simply about therapy and quiet time. I didn’t race, I didn’t follow any plans or own a watch, I just ran because it felt good. Then there were some years where running was about running away from things: pain, hurt, loneliness, struggle. During the feel good time, I was asked to coach the distance runners at Golden High School. Three of those athletes are still some of my favorite people today. After season two, I was let go in place of the head coach’s fiancee. Several years later, I was asked to come back by the new head. It was during this time that things got really hard. I let running become a negative. Then I dug in to healing and set a goal which I am maintaining still over 6 years later: a race a month, to keep me moving, seeking to enjoy the run again, and warding off my inner demons. 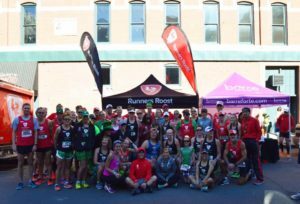 About a year into this, I was convinced by my coaching mentor, and closest friend, to apply for the Runners Roost team. This has been among the very best choices made in my adult years! For me, the best part of distance running has always been the family it creates. How could it not when logging hundreds of miles together? The Roost Family has become my home base and heart center. I have been welcomed in to the road crew and mountain crew, and love meeting teammates from all of our shops. Fellow Roosters have helped me dream bigger. We have celebrated all levels of successes together on the happy days. And, on the hard days, we wrap our arms around one another, take each other by the hand, and run those scary roads together. There is such pride and joy every morning I get to suit up in my team gear. Such a fullness in my heart as I carry the love of this family with me through training and races. And there is such love for this amazing family and the stories which make us all runners. GO ROOST!! I’m beyond grateful for the many ways I was lifted up during my cancer battle by my Roost Family and my Demons Family. My coaches and athletes were the first people to hear my news, followed shortly afterwards by a couple of Roosters. News like that travels quickly, and I found myself showered with love in all sorts of ways. My athletes wrapped me up in a big bear hug as I left our summer camp the night before their long run, and my huge surgery. (bilateral mastectomy and reconstruction.) They came out in numbers we don’t usually see for summer runs the following Monday when I could come walk practice. Athletes and parents alike were so positive and patient during the 6 weeks I had to largely coach from afar while I walked parts of courses. They were at the finish line of the 5k I had to power walk because it was another week before I would be cleared to run again. My Demons bring such purpose and joy to my life, and I channel their energy often on my runs. 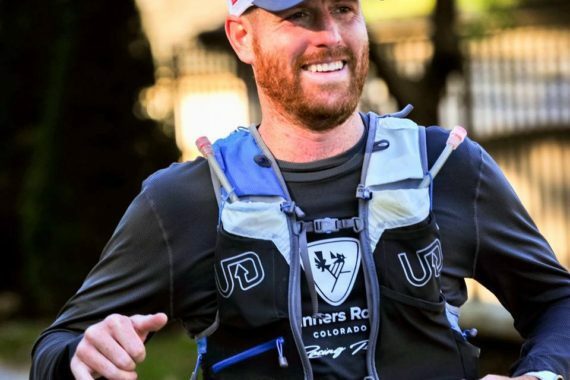 One of my favorite Roosters brought me his Silver Rush medal and the story of how two of our teammates were ready to DNF until he shared my story. They finished hand in hand, a photo which is up in my living room, and brought me to tears as the story was told. I owed them a medal when healthy, and the next summer became a Leadville journey I’ll never forget. For eight months after my surgery I took a cancer medication which devastated my body. I was numb to the world, unable to complete sentences, losing my hair and weight, along with my desire to run, and even live. My teammates stood by in my darkest days. I’ve apologized for many names forgotten during this time, and for not being able to just be happy to be healthy. Meds…they are powerful and can be very scary. When I came back out the other side after stopping the meds, the Roost team couldn’t have set me up better to take on Silver Rush: a new watch, a hydration vest, Silver Rush entry fee, and even a massage! That summer became quite an amazing journey filled with miles of teammates for training and wild successes in the mountains. 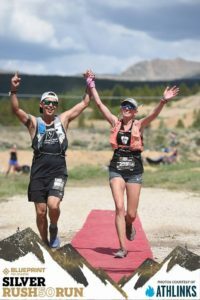 I took on not only the Silver Rush, but also two other races up there in my own little Leadville race series. 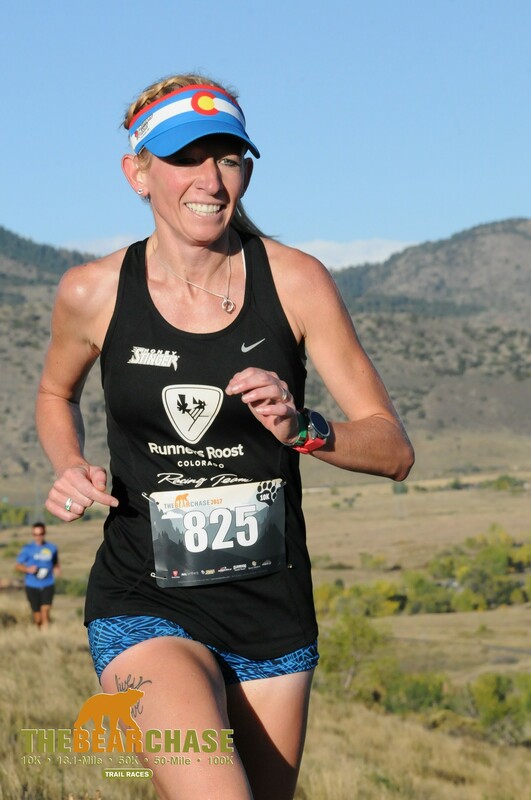 1st at the Turquoise Lake Half, 10th at the Leadville Marathon, and 6th at Silver Rush! A little perspective, I was basically not running before April to get ready for these races. If this limited training, and wild level of success doesn’t show how far love will carry a body, I don’t know what does. And while I’ve been asked when I’m coming back to Leadville (aside from my annual hike on my cancer free anniversary day), I’ve been unsure as I’ve been busy chasing my dream to run Boston. This got pushed back with my cancer diagnosis, but after qualifying last May, I am headed there for this year’s race!! While I’m proud of the medals and trophies which have found a home on my mantle (only podium finishes), the true pride comes in knowing what is behind those awards. The miles of training. Being able to say, “Hell Yes!” to running goals. Tears shed on the trails and roads; sometimes about life, and sometimes because the running was difficult. Facing risks and jumping in whole heartedly. And above all, the countless teammates and running family members who have shared the experiences with me. I’m beyond thankful for the many blessings running has brought my life.